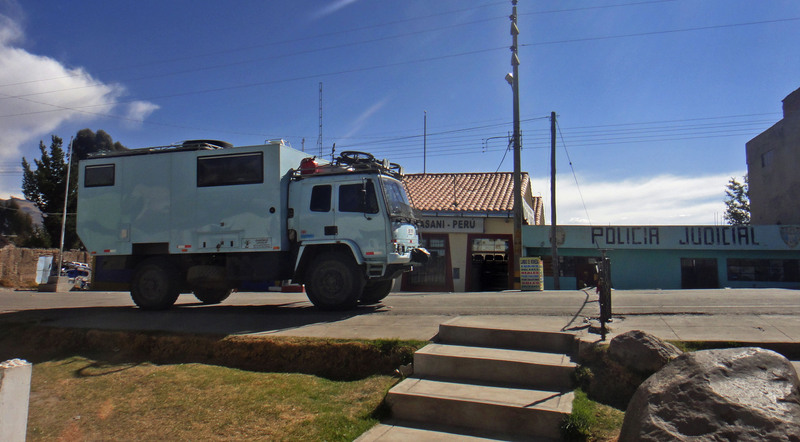 About 2km after Yunguyo you reach the border with Bolivia. It is fairly clear as there is chain across the road. Pull up in front of the chain. The border was very quiet when we arrived. Migracion is on the left and next door (on the right) is the police. First port of call should be the police where you. Need to collect a stamp on your tourist card. Once this has been collected go to the Migracion office to get stamped out of the country. Next walk back across the road to the Aduana office which is the white building directly across from Migracion. On the left hand side there is a window through which you can conduct your business. The customs officer asked for our TIP and our registration document. He also wanted to see the truck so I had to pull it forward 20m. After 5 minutes we were done here and he came out to lower the chain. 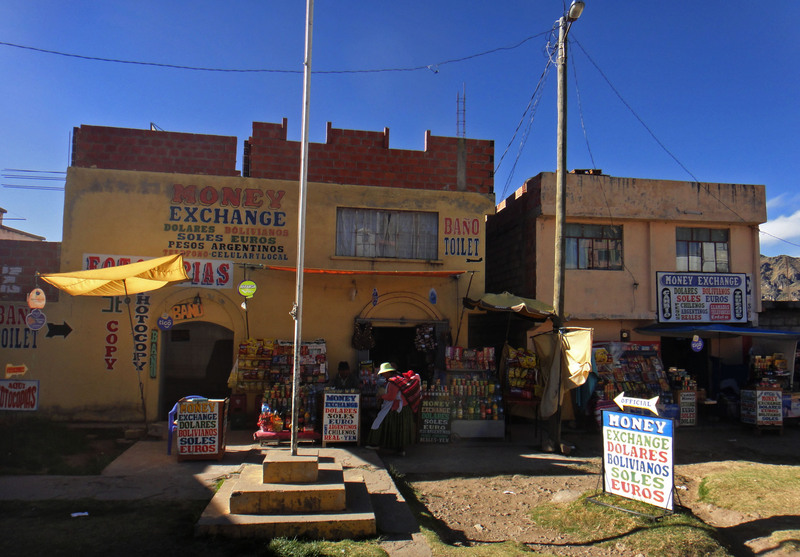 The Bolivian side of the border is 200m ahead through an arch over the road. We parked up in a large parking area on the left. Both customs and Migracion are on the left hand side of the road. 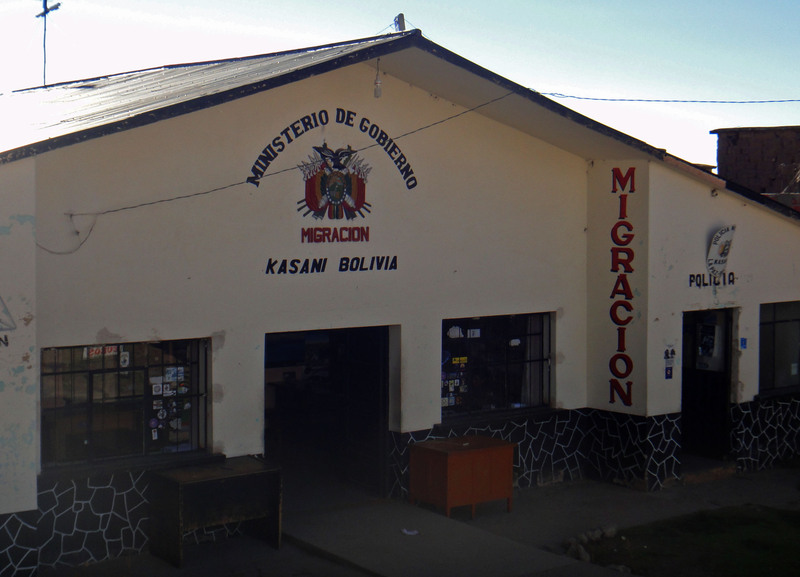 We visited Migracion first. Here there are some police who first examine your passport and then give you a tourist card to fill out. Once this is filled out you must return to the desk next to the police where a Migracion officer will stamp you in. 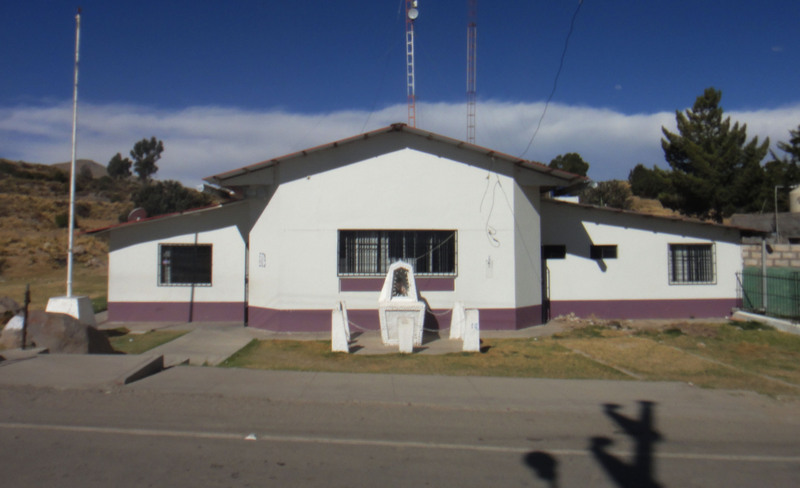 In Bolivia you will only receive 30 days (this can be extended to up to 90 days in major cities). After our passports were stamped the police tried to run a scam involving taking your picture. The immigration guy warned us to be quiet and not fall for it so we just told them no and walked off. 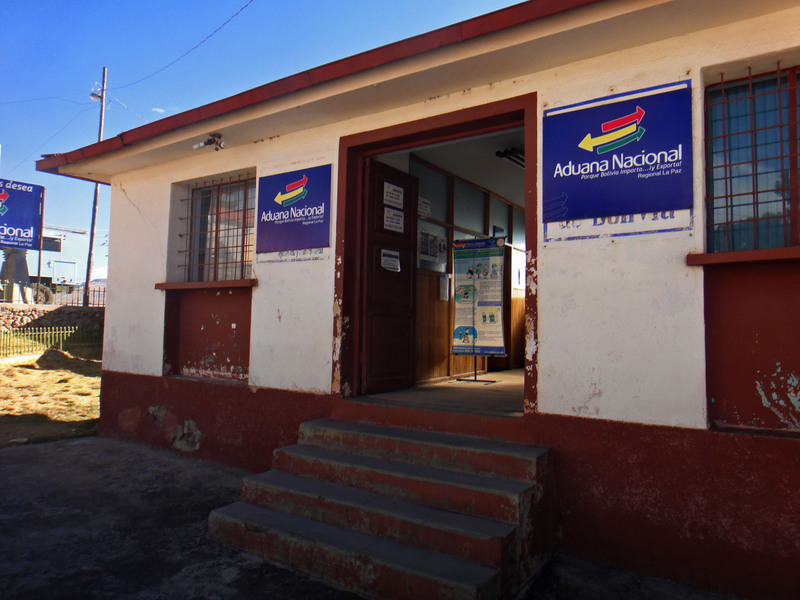 The next stop was Aduana where we went into a small office back towards the truck. Here the guy asked for driving licence and registration documents plus a copy of the registration. This took longer than it should have because the system was down. After a few minutes it came back up and he gave us a Temporary Import Document. He did check my passport to ensure that the number of days matched. After this all we had to do was visit a money changer. 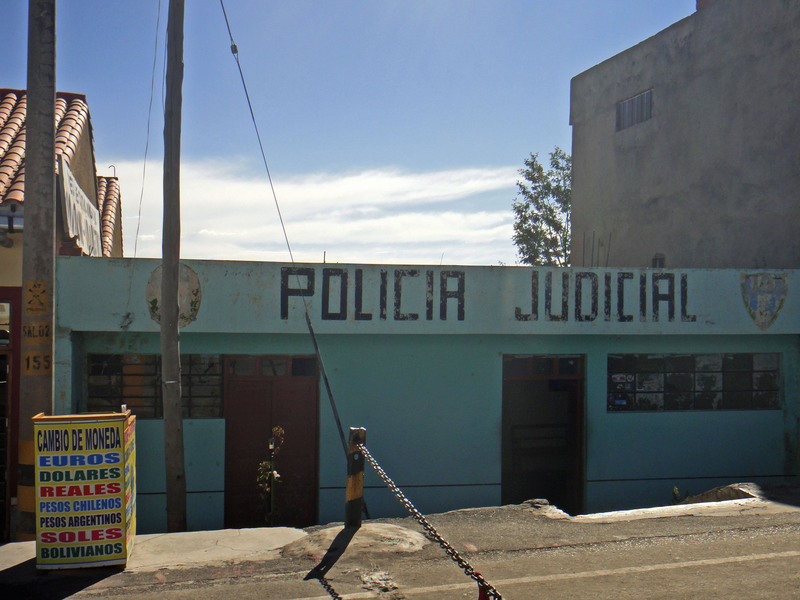 These were next to Migracion and get a couple of photocopies of documents – the money changer could also do this (there is an ATM in the main plaza in Copacabana). Once back in the car we had to open the gate ourselves to get into Bolivia but then we were done. Mark, What’s the scam that the police try with the photos? – Did you need it for Canada/ US? Can’t find any info on it, and RAC doesn’t do Canada/US. If you have any piece of info, that would be a great help. – again, RAC isn’t very clear about this bit, but do you need the Carnet for every single country in Central/South Am? If you have a fraction of a minute to reply very briefly, I’d be so grateful. Many thanks in advance and safe travel! You can stop worrying about a carnet – it is not needed in any country in the whole of the Americas. In fact we have talked to someone with one (the overland truck companies use them) and most of the time at the borders they are mystified. In each country you instead have to get a TIP (Temporary Import Permit) which is usually free. Hopefully that will save you a lot of money ! Thank you Mark. Very helpful. That is what we suspected. Appreciate the tip on TIP too. 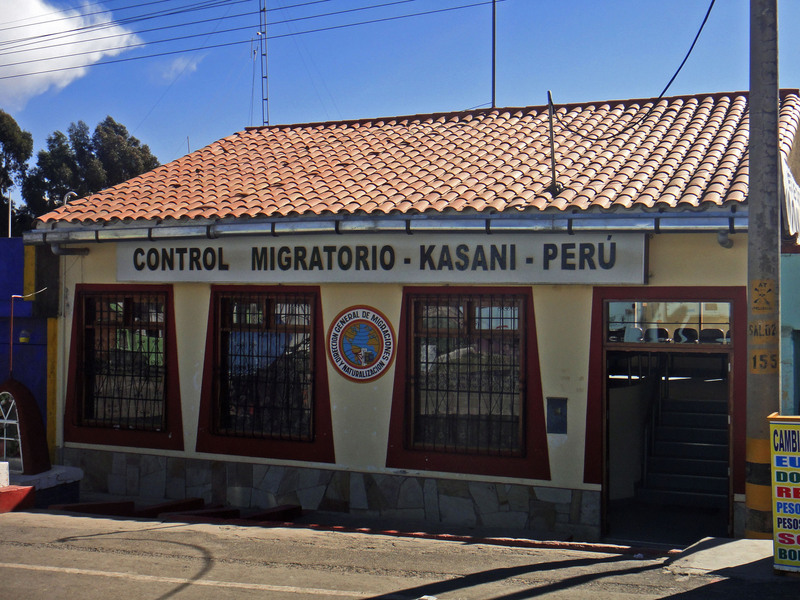 I’m working on a wiki of border crossings from around the world, and I see that you have recently crossed many border crossings in South & Central America. I would love it if you could help out in contributing information to the wiki. Just navigate to any country you have crossed and find the border crossing you have information about. Once you’ve reached the page there is an “edit” link next to each section, click on that and you will be able to edit the wiki and contribute the information you have. The wiki is basically aimed at helping travellers share and recieve relevant and up to date information on border crossings without needing to go through tons of forums, basically having all the information easily formatted and hopefully up to date as we are trying to build a community of contributors. Kindest Regards and safe travels.